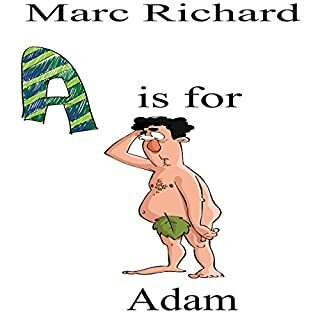 A is for Adam: An Alphabet Book for Grown-Ups! Adam is the first human being all alone in the Garden of Eden. He has everything he needs, but he sure is lonely. One morning he awakens to find his body flayed open. Could it be kidney thieves? No, God has stolen a rib to make him a companion. Why he couldn't have just made Eve out of dirt like Adam was, is beyond him. Adam and Eve are living in relative peace in Paradise until trouble comes to the Garden in the form of a snake. Magic has been franchised. Magical conveniences are sold everywhere like designer coffee. Everyday life is filled with technical and magical wonders. Only, the magic is murdering people. Thoth Corp's hot new spell is turning people into ravening monsters. Their only hope to quietly rectify the situation before the epidemic spreads is the spell architect they framed and sent to prison. El's response to his former partners wasn't polite. Homeless, forbidden to use government-regulated magic, and barely surviving out of dumpsters, Eli struggles to rebuild his life. Life in a post-apocalyptic city teeming with zombies isn't easy, but it can still be fun with the right friends by your side. Eli Carter is a delivery driver who yearns for adventure. When Eli meets a smooth-talking necromancer, he decides to make a drastic career change. The delivery driver becomes a ghost hunter! Now Eli will learn the rules of the paranormal world, master high-tech traps, and earn a permanent position on the Ghost Hackers team. Assuming he survives “play time” with the cat-like thing that's living underneath his bed. Eli Carter thinks his newest ghost hunting assignment is an easy one. A simple poltergeist infestation? Easy! A slam dunk. A home run. 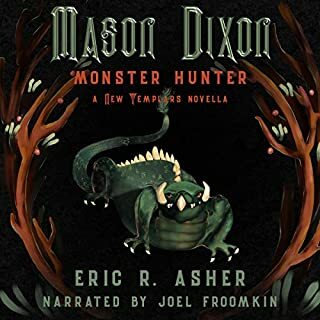 But when Eli is bitten on the rear by a swarm of flying piranhas, he learns there's no such thing as an easy ghost hunting assignment. Eli Carter loves being a paranormal specialist, ridding the city of unwanted spirits. A flurry of bookings brings the team to the suburbs, where residents are overrun with ghosts and tiny dogs. They love the tiny dogs but want the ghosts gone. The whole team must pull together, using their special skills, to get out of this suburb alive. Get all three books in this exclusive series collection bundle! Q. 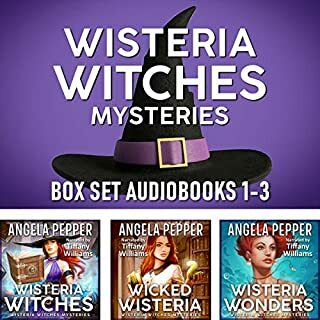 Is this series connected to Angela Pepper's Wisteria Witches? A. No. The city featured in this series is a world away from Wisteria, and the rules of the paranormal world are wildly, wonderfully different here. They are shorter and more fast-paced. The stories are told by an omniscient narrator. Q. Is there a suggested listening order? A. The books should be heard in the order listed. Q. Are these books funny or scary? A. Mostly funny with a few dark moments, plus some great twists! This set of 3 novellas was a pleasant surprise. They are short, comedic cozy mysteries. First, I enjoyed the characters. Each of them appear to be cookie cutter character archetypes at first but each get a chance to show that there is much more there and that they are fleshed out characters. My one complaint is that this series is complete within this volume and I wanted to spend a lot more time with each of these characters. There are a few backstories and character quirks that are set up for which we do not get full explanations. Make note of that. The mysteries are each enjoyably bizarre, hilarious and sometimes unexpectedly touching. Again, I only wish there were more. Each story sets up the next but each mystery itself is self-contained and enjoyable. The premise appears to be a well-known trope of but the execution is excellent and original. 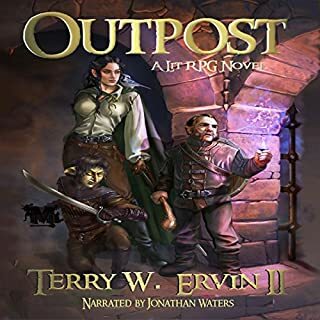 The character interactions and the humor were the biggest draws for me and I anticipate relistening to this many times in the future as well as exploring other works by this author. 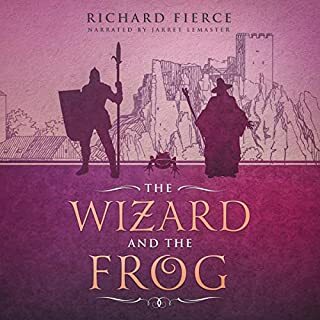 The narrator inhabited each character well and brought them to life. He even handled several different accents very well. I could have continued listened for much longer. This is the first three books in the Eli Carter and the Ghoster Hacker series. Each of the three is a standalone story with no cliffhanger endings. This is my first time reading this author. I found these cozy mysteries to be fun, funny, out of the norm for cozies and with likeable interesting characters. I really enjoyed the quirkiness/charm of the mysteries. It was great to see Eli develop from a non-descript meek man to someone who is becoming more confident and compassionate. My one complaint is that the author left out some information [or perhaps this was intentional to be explored in later stories] about the crash site. The narrator did a good job in setting the pace and distinguishing all the human/paranormal characters. This was a different kind of listen. I thought it was comical and quirky but one definitely needs to have the right sense of humor for this listen. Eli and the gang have unique personalities and are really likeable. Love following the as Eli and the Ghost Hackers solved their 'cases' Definitely an interesting listen! The narrator portrayed Eli perfectly, I thought he gave an excellent performance throughout all three books. He definitely took the story to the next level and really helped us visualize the characters and events throughout the story well. This was a really fun series! Eli is a delivery person who gets a new job and new life all in three days. John Pirhalla was a very good narrator. This was a fun listen. It is pretty light hearted and fun. There is good dialog and humor, and the narration is well done. All in all, I would definitely recommend this book to anyone looking for some good, light escapism. 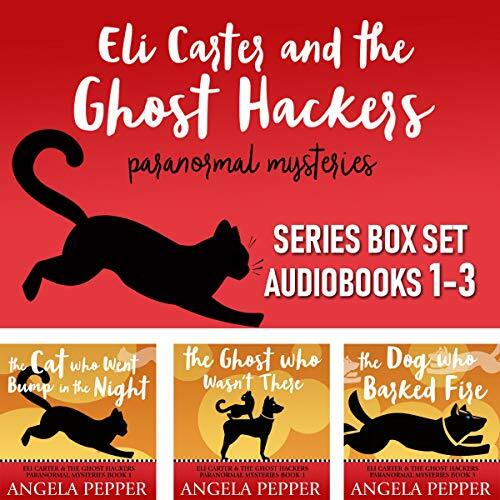 Angela Pepper has written another awesome series featuring Eli Carter and the Ghost Hackers. This is such a fun supernatural cozy mystery box set. I loved the humor and the vivid imagery. John Pirhalla was awesome performing these books. He delivered distinguishable voices and realistic emotions. 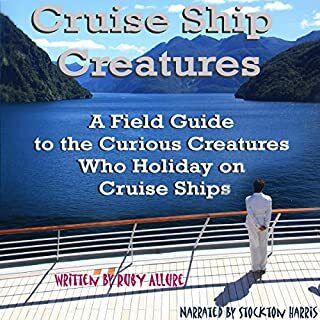 I requested this review copy audiobook and have voluntarily written this review. I will definitely listen to more books by this author and narrator. So when I first started listening to this audiobook, I expected a book on the more serious side. However, I quickly realized that this set of three novellas is witty, charming, and sometimes downright hilarious. I love the main character and the way that he sees the world, especially his girlfriend and his day to day life. Eli is used to being told what to do by his girlfriend so when he meets a mysterious boy named Khan one day at work, his life changes for the better. When a new job opportunity is presented to him, he makes the decision to take it and from there, we see Eli gradually shift from an awkward beaten down man to a strong, confident character. The narration was great, and each novella was hooking in its own way. My only question about this audiobook is what exactly happened in the crash down area? It was touched on briefly, but the stories could’ve been so much richer if we had more information about what exactly had turned the humans into zombie-like creatures. This book set was awesome. So glade it came with 3 because as soon as one story ended I was ready for the next one. I could do hours of books like this.